113 3/4 x 67 1/2 in. 288.9 x 171.5 cm. The work that had high anticipations; insider estimates told us it could possibly fetch $100 million dollars. Oh well; that will happen in a year from now; mark our words. 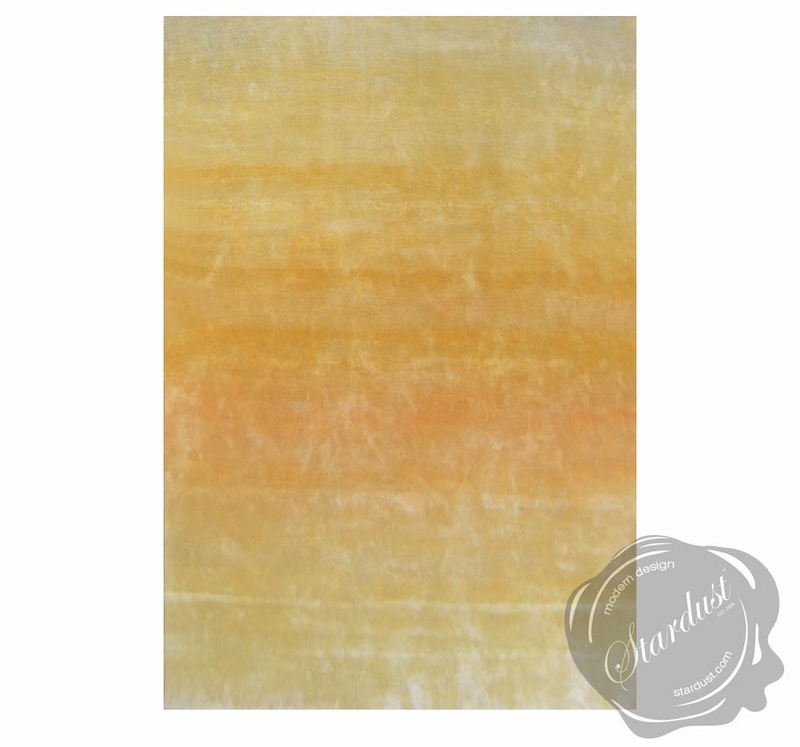 "that is 75 million dollars and change my friends"
If you love Mark Rothko except the price you need to fork over, you will love the moderately priced alternative and the coloring of this rug named 'Rayon de Soleil'. 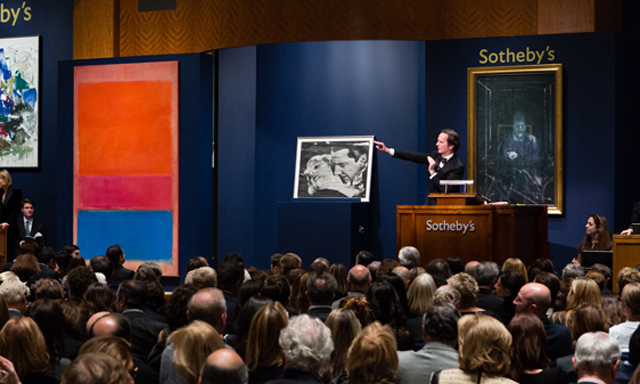 This mind-blowing sales result for a Rothko is more than triple the price of another work by Mark Rothko, paid on Nov. 8, 2005 at Christie's New York when "Homage to Matisse" realized $22.41 million. 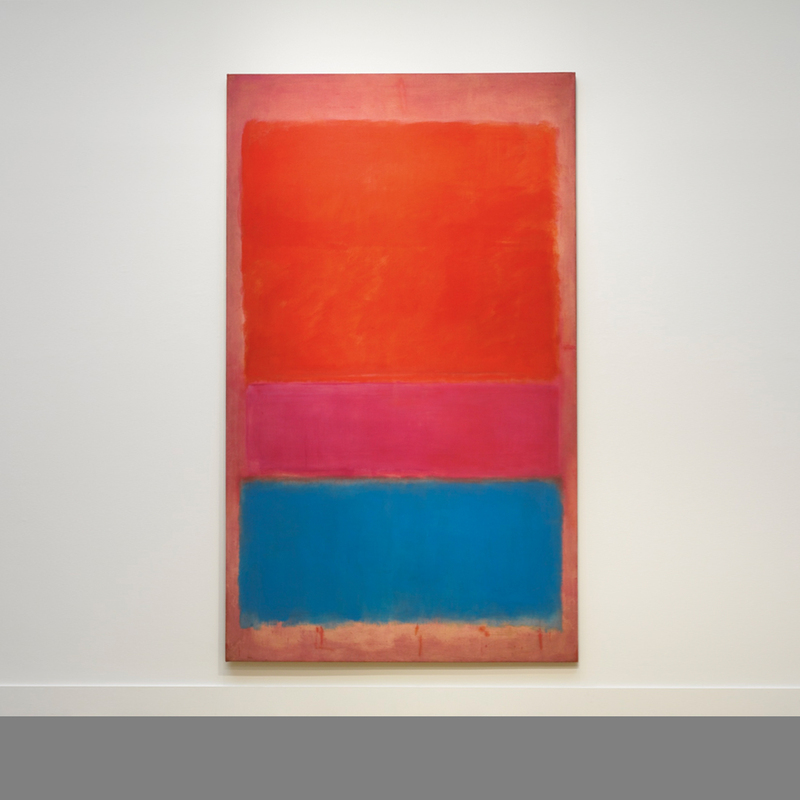 When it comes to Rothko; his prices are in the top stratosphere of the art market right now says art dealer James from Stardust.com; we all remember when "White Center (Yellow, Pink and Lavender on Rose)" by Rothko sold at Sotheby's for $72.84 million back in 2007... it stunned everyone. 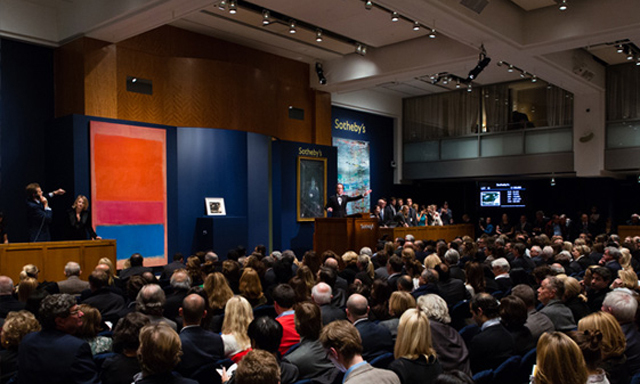 It now appears that Rothko is becoming a stable blue chip in the upper end of the art market and that these prices are becoming the new norm for a work by Mark Rothko. "The progression of a painter’s work, as it travels in time from point to point, will be toward clarity: toward the elimination of all obstacles between the painter and the idea and between the idea and the observer... To achieve this clarity is, inevitably, to be understood"
Sotheby's has scored a major consignments for its big November art auctions, with Mark Rothko's astonishingly beautiful "No. 1 (Royal Red and Blue)" from 1954 being estimated at This iconic Rothko, almost 9.5 feet tall and 5.5 feet wide, was one of eight pieces selected by the artist for his solo exhibition at the Art Institute of Chicago in 1954. It has been exhibited in many museums, including the National Gallery of Art in Washington, the Whitney Museum of American Art in New York and the Musee d’Art Moderne in Paris. In 1978, the painting was purchased by Ben Heller, a major collector and private dealer of Abstract Expressionism. Sandra Canning, who acted as an agent for the transaction, said Heller paid $325,000 in 1978. 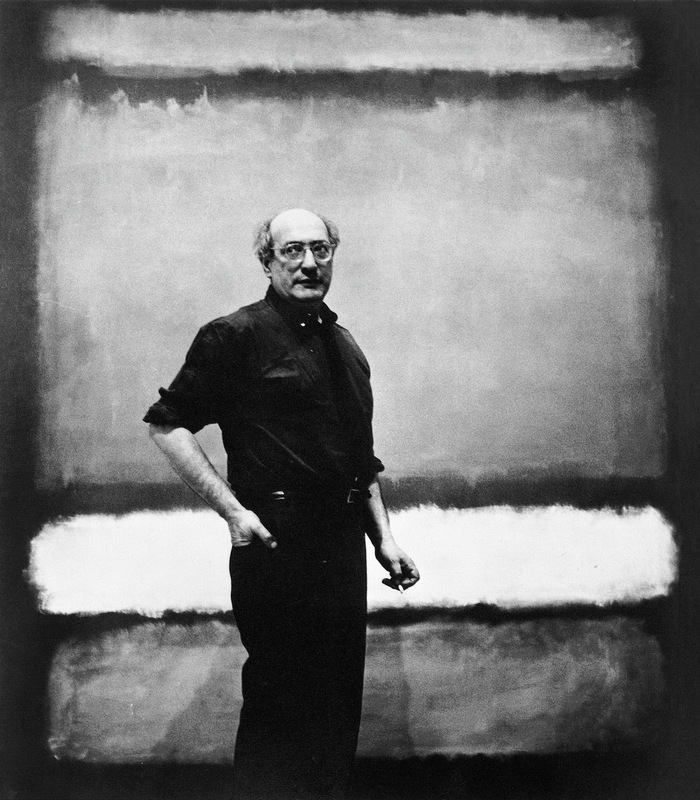 Just on a side note: Ben Heller later stated that he bought his first Rothko for $1,350 in the early 1950s. That is not a typo. $1,350 was the going price...sometimes even less in those days! Heller subsequently sold the painting to John L. Marion for less than $500,000, he said. 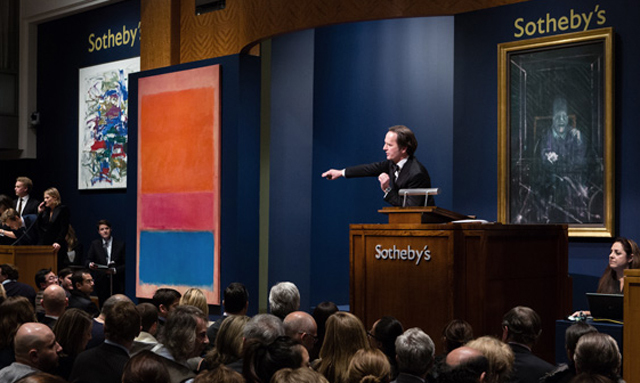 The seller of the Rothko is Anne Marion, owner of Burnett Cos. in Fort Worth, Texas, according to people with knowledge of the transaction. Her husband John L. Marion was Sotheby’s chairman and chief auctioneer. Three shimmering zones of color, which are simultaneously drawn together and held apart from each other by ethereal and imperceptible boundaries, dominate the canvas. The brilliant royal blue anchors the composition and works in magisterial chromatic concert with its exact complimentary color of vivid orange that pushes towards the uppermost limits of the canvas. The central royal red strip is tonally equivalent to the luminous sea of orange above it, yet works as an elegantly sophisticated horizontal axis that our eye is drawn to, between the two larger pulsating expanses. 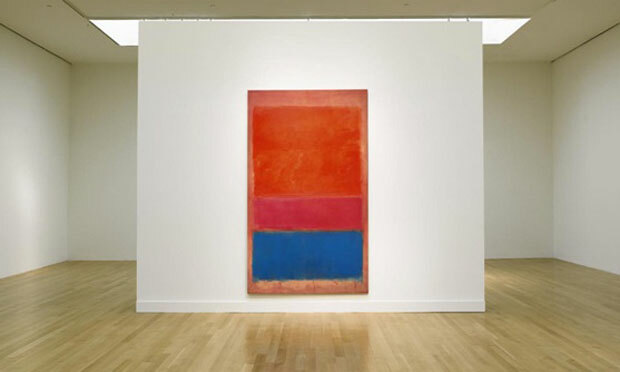 Rothko applied paint in diverse fashions; the rectangles, or objects, being achieved either by paint being spread out from the center, or by an outline thereafter being filled in, or by strokes being applied in parallel until the form was completed. As noted by Irving Sandler, “Rothko built up his rectangular containers of color from lightly brushed, stained and blotted touches which culminate in a chromatic crescendo.” (Exh. Cat. 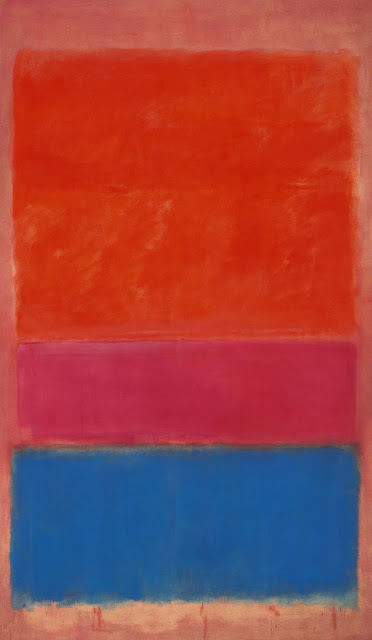 New York, Pace Gallery, Mark Rothko: Paintings 1948-1969, 1983, p. 8) Here chromatic resonance is attained through the meticulous aggregation of translucent veils of brushed pigment, with especially close attention paid to the spaces between forms and the edges of the canvas. Both despite of and due to their differences, the color fields equilibrate: the lure of one is immediately countered by the irresistible pull of the other as they reverberate over the fractionally paler ground. The layers of pigments concurrently hover indeterminately as three-dimensional floods of color in front of the picture plane, while also reinforcing the materiality of the painted object through their saturation of the canvas weave. 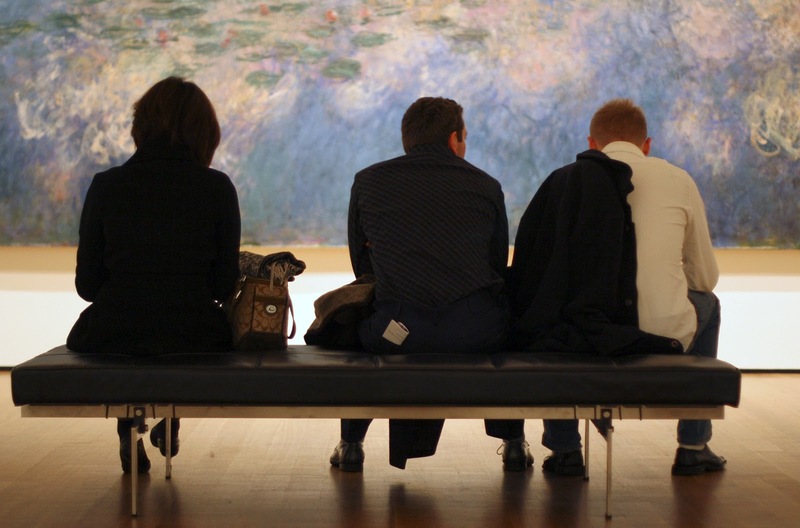 Benches were placed in front of works by Monet, Jackson Pollock and Mark Rothko.